Back by popular demand! 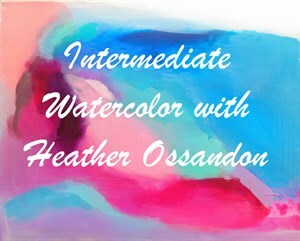 The “Basics of Watercolor” series from this Fall will continue with a miniseries taught by returning teaching artist Heather Ossandon. This class will go further into the basic techniques taught in the first series and is open to returning and new intermediate students. Suggested supply lists will be provided. Registration is required by January 9th.